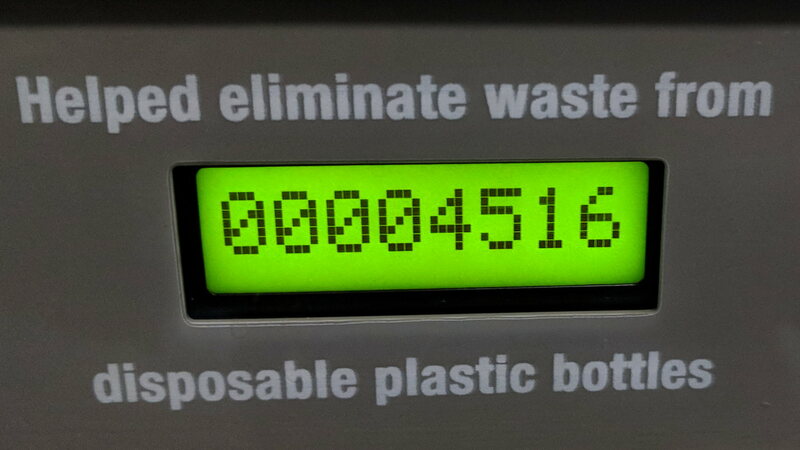 The bottle shape on the back of each fountain marks the sensor for its water bottle refill spout. 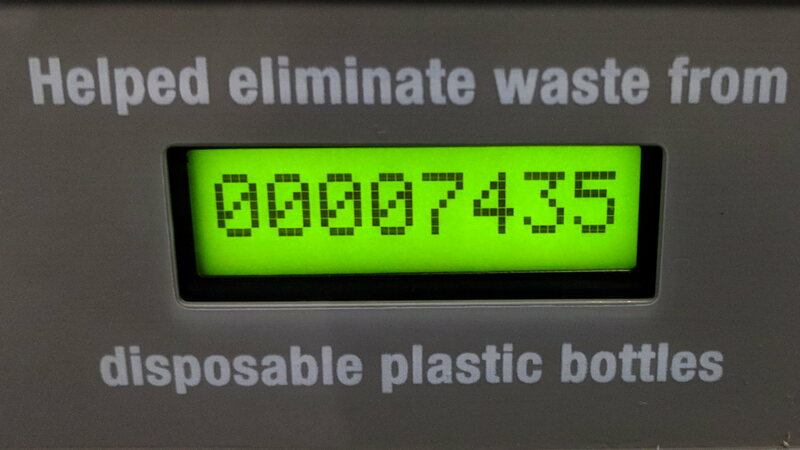 The small rectangular block above and right of the sensor is a virtue signalling display giving the number of disposable bottles allegedly not consigned to a landfill. 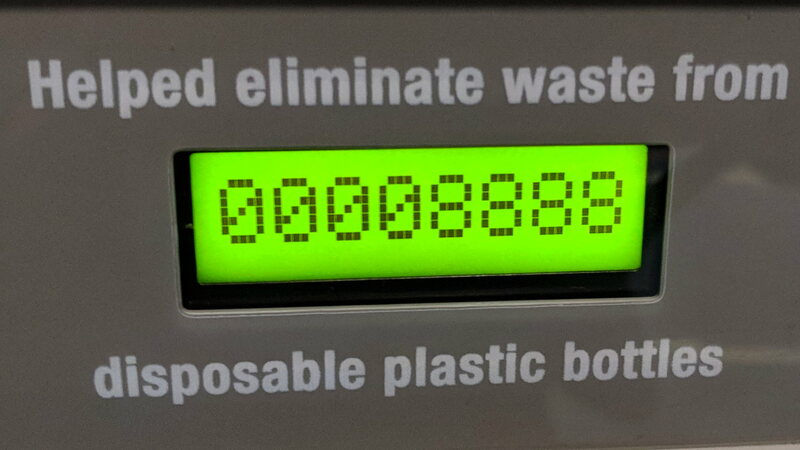 Which looked exactly like either a test pattern or a failed display, until I waved my hand over the senor and watched it increment to 00008889. Timing is everything! The other trio of fountains had the same progression, so it must be a chirality thing. 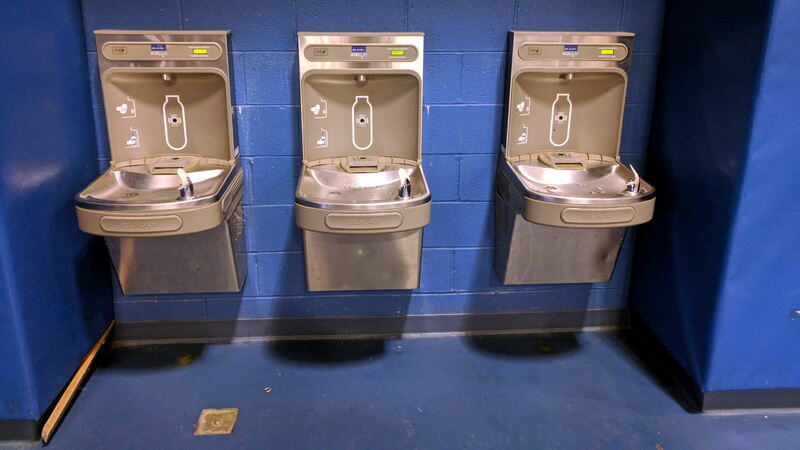 I can’t say whether you should use the left fountain to avoid some germs or the right fountain for the freshest water. Not having to maneuver our bottle under the usual arch from a drinking nozzle was a big win, though, so mad props to ’em.